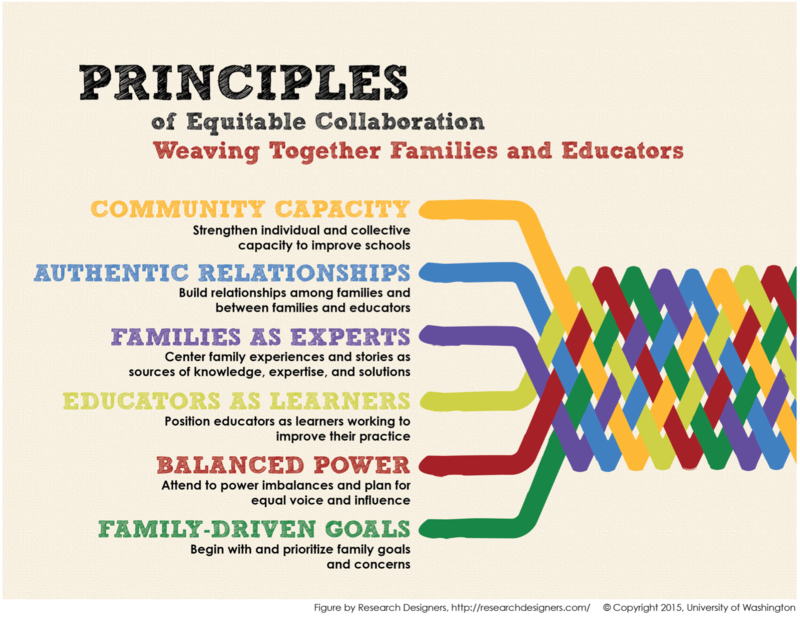 The work of the University of Washington’s Equitable Parent–School Collaboration research project is driven by a desire to expand how schools and districts recognize and tap parental expertise and leadership in improving student learning. For the past three years, UW researchers have partnered with schools, families and community organizations in the Road Map Project region of South Seattle and South King County to develop pathways and tools that will foster authentic parent and family engagement. Road Map Family Engagement Survey User’s Guide — Designed to help schools, districts and community-based organizations get started as they build equitable collaboration between families, communities and schools. Parent Curriculum: Families in the Driver’s Seat — A culturally-responsive, asset-based curriculum that can be adapted by schools to build capacity and relationships between parents and educators. Building Relationships Bridging Cultures — This research brief is a comparative case study that describes cultural brokers (individuals who acts as bridges between families and schools) and three promising strategies they used to engage families. Data Inquiry For Equitable Collaboration — This research brief describes one example of an inquiry process that engages a broad range of stakeholders in making sense of data to improve the work of an educational organization. KUOW: It's Time To Stop Saying "Let's Fix the Parent"